This carnival float was part of the Welwyn Hatfield Artspan festival which was the first Festival of the Arts organised for the district. The festival took place from June 28th to July 12th 1980 and crammed a real cornucopia of all kinds of art, into its two week run. 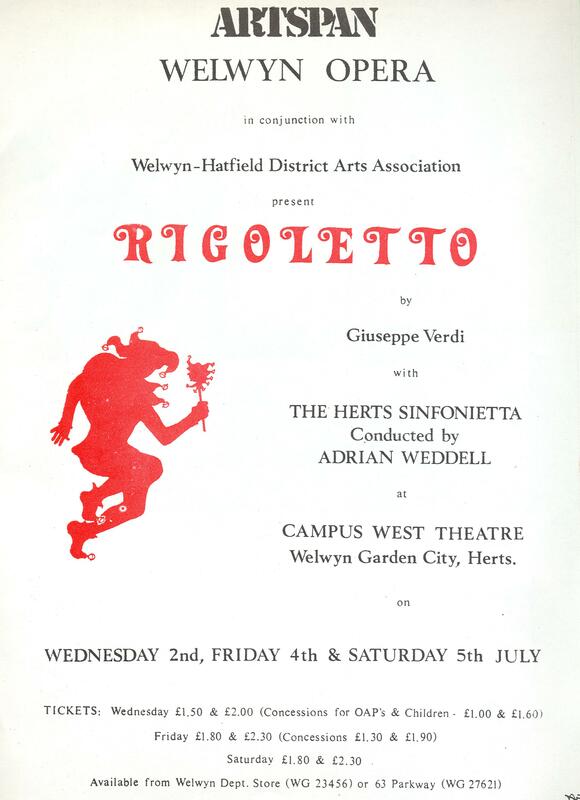 The Welwyn Opera group was promoting “Rigoletto” which ran from 2nd to 5th July at the Campus West Theatre. 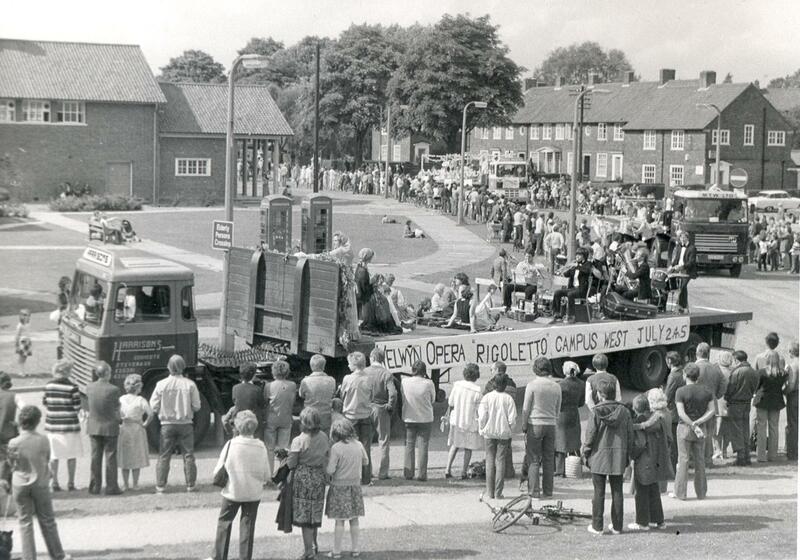 Did you participate in the production of Rigoletto, do you remember the days of the Welwyn opera, or were you in in the crowd watching the floats going by? We would love your memories. This page was added on 26/06/2009. My mother, D Wilkinson, designed and created many of the posters for Welwyn Opera, including this one for Rigoletto which is one of my favourites.